My Daughter is very simple girl and have fair complexion.  She did BBA & B.Com in her graduation and Post Graduation (PGDM/MBA) in Human Resource. Presently working with a MNC as Corporate HR in Noida. She is a simple god fearing girl and have a lot of space for family values in life. She has a middle class family background with liberal values. Her father and mother both have retired. She has 1 brother and one sister, who is married.